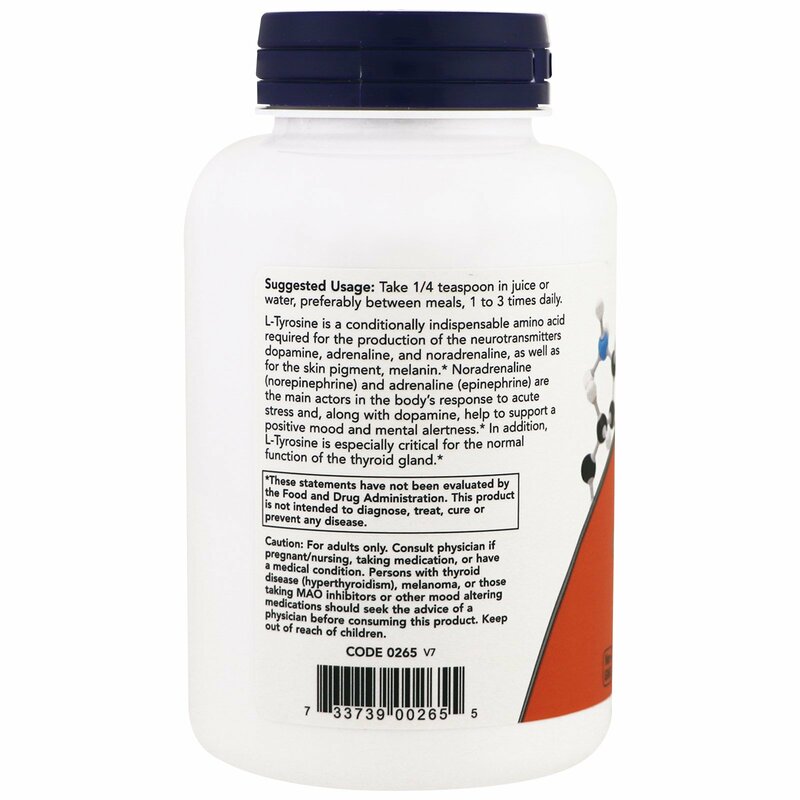 L-Tyrosine is a conditionally indispensable amino acid required for the production of the neurotransmitters dopamine, adrenaline, and noradrenaline, as well as for the skin pigment, melanin. Noradrenaline (norepinephrine) and adrenaline (epinephrine) are the main actors in the body's response to acute stress and, along with dopamine, help to support a positive mood and mental alertness. 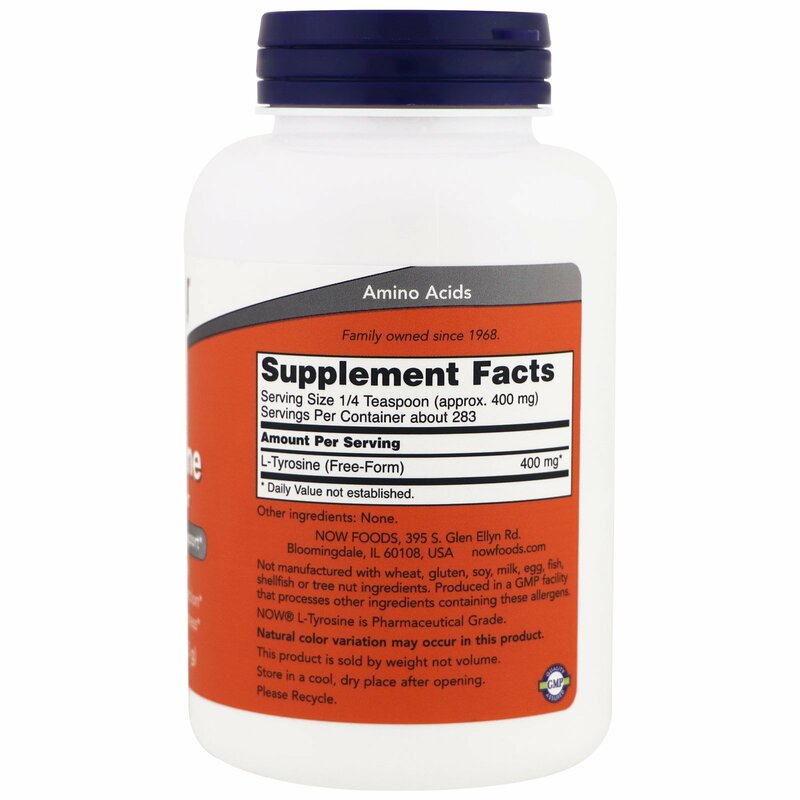 In addition, L-Tyrosine is especially critical for the normal function of the thyroid gland. Take 1/4 teaspoon in juice or water, preferably between meals, 1 to 3 times daily. 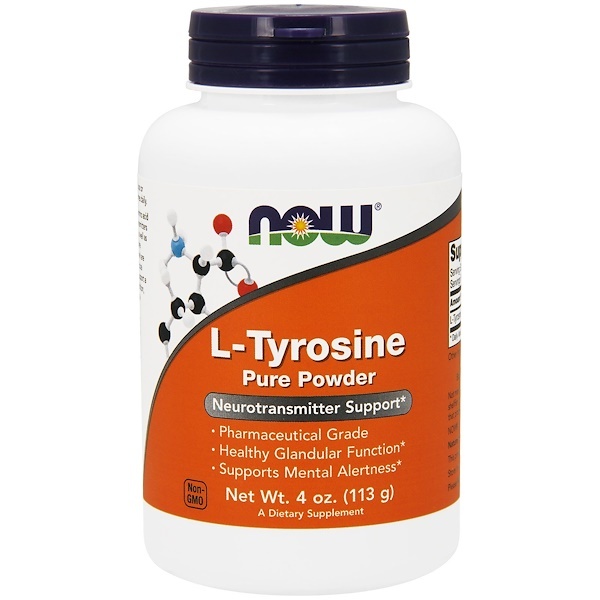 Now L-Tyrosine is Pharmaceutical Grade. Caution: For adults only. Consult physician if pregnant/nursing, taking medication, or have a medical condition. Persons with thyroid disease (hyperthyroidism), melanoma, or those taking MAO inhibitors or other mood altering medications should seek the advice of a physician before consuming this product. Keep out of reach of children.